When people in Lynbrook, NY, and the surrounding areas want to dress up their burgers with more than the standard lettuce, tomatoes, and onions, they head to Burger Bandit. The burger restaurant has developed a stellar reputation throughout the community for offering a creative selection of add-ons for their 100% prime beef, turkey, and veggie patties. Here are a few must-try toppings at the burger joint. 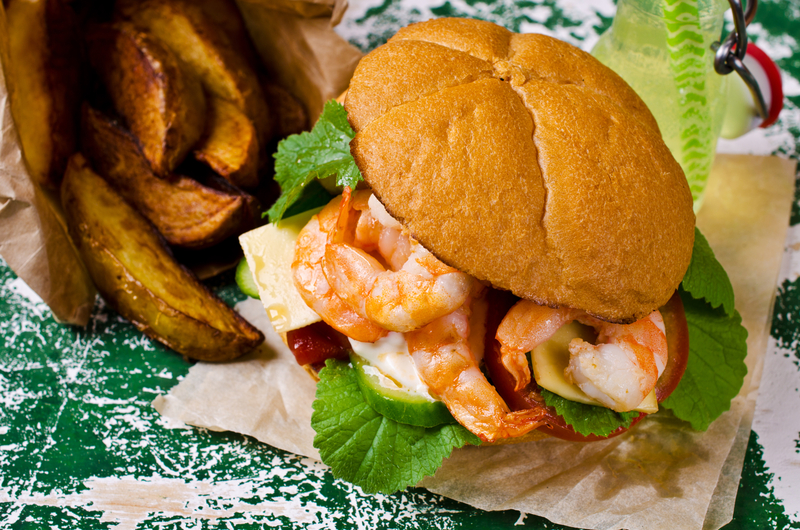 Fans of surf and turf can opt to top their burgers will succulent grilled shrimp. The charred, smoky taste pairs nicely with the rich flavors of the prime beef patty. If you’re looking for a hearty meal that won’t pack on the pounds, pair the seafood with a turkey patty or veggie patty in a lettuce bun. Beyond protein, shrimp is an excellent source of B3 and D vitamins and zinc. Zinc helps circulate leptin in the body — the hormone responsible for making you feel full longer. If you are craving a deli sandwich and a burger, you can have the best of both worlds by adding hot pastrami to your order at Burger Bandit. The coriander, garlic, and black pepper of the cured meat elevate the flavor profile of a prime beef or turkey patty. The buttery taste of melted Swiss cheese and the tang of yellow mustard balances the salty notes. Beyond meat add-ons, the burger restaurant also has vegetable toppings to add to your order. If you can handle the heat, sprinkle a few slices of fresh jalapeno on top of a veggie patty. The spice will complement the nutty, earthy flavors. The crisp vegetable will add texture and a kick to melt-in-your-mouth beef and turkey burgers as well. If reading about tasty toppings has you craving a burger, stop by Burger Bandit today. If you see a movie at the theater across the street from the burger restaurant, you can save on your meal by bringing in your ticket stub. Apart from burgers, the restaurant also offers various milkshakes as well as hot dogs, fries, beer-battered pickles, and additional sandwiches made with fresh, local ingredients. To learn more about the selection available at the Lynbrook eatery, call (516) 593-4015, or visit them online to browse the menu. Keep in touch on Facebook for special offers and food photos.